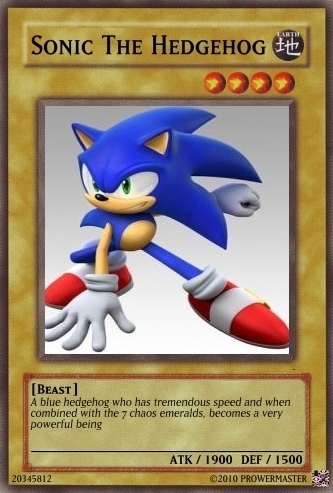 A Sonic Yugioh card. A created sonic yugioh card. Wallpaper and background images in the Sonic the Hedgehog club tagged: sonic hedgehog. i got that card to!